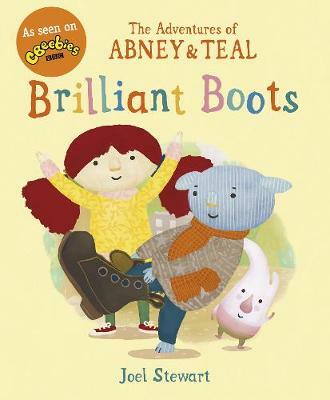 A charming new story featuring stars of CBeebies, Abney and Teal - an imaginative pair of adventure-loving friends who live in the park on an island. When Bop finds a ... something on his head, Abney, Teal and their island friends try to find a good use for it. It's too leaky to be a teacup, and too holey to be a slide. It looks like a boot, but doesn't make a very good boot. But now everyone wants boots - so they let their imagination loose and go on the hunt for brilliant boots!